Course descriptions for special topics courses can be found by following the links below. Note: These semester-by-semester pages provide detailed descriptions of special topics courses only, because these courses’ subject matter varies from instructor to instructor. Date, time, location, and CRN for these courses, as well as a full list of all PSC courses offered, is available through myBama following the steps under Schedule of Classes, below.  Descriptions of non-special topics courses are found in the UA Catalog. The UA course schedule is available through mybama.ua.edu. Follow the instructions below, or visit the website of the University Registrar. Click the “Class Schedule” link that is located in the “Banner Self Service” box. Select the term for which you want to view courses. To search for all online, video or independent study courses, highlight all courses in the “Subject” box. Scroll down to the “Campus” box and click on the desired course delivery format: Ex: “Online”. Click the “Course Search” box. The next screen will show all of the courses offered in the format you selected. Click “Guest Sign-In” on the log in page. Click the“Guest Resources” tab at the top of the page. Follow the instructions above to conduct a class search.